Devansh Gandhi, Master International Business student at MBS, has spent his semester abroad at Kozminski University in Warsaw, Poland. Here, he talks about his experiences. I have always been fascinated to travel to Eastern Europe and see how different the culture is from the Western peers. 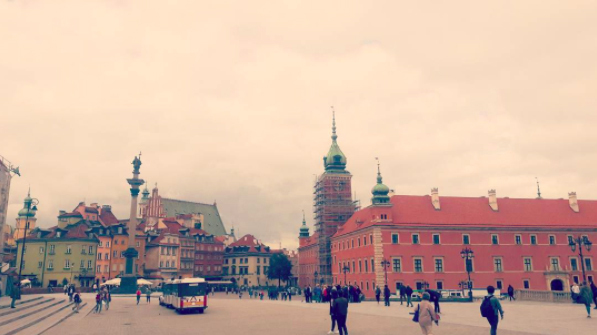 So Poland was one of my top choices to study abroad as I had already traveled through Poland before, and my travel experience encouraged me to choose Poland as my study abroad destination. Secondly, Kozminski University is one of the top universities for business studies in Europe as it is well placed in global rankings. 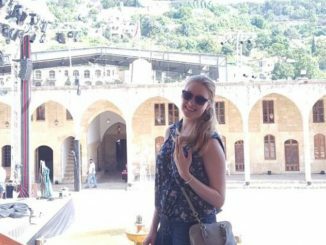 So it wasn’t much of a difficult choice when I had to choose my study abroad university. How was Kozminski University similar to MBS? How was it different? Kozminski University is one of the top universities in Europe especially if you want to study finance. It is a really big university with around 6,000 students and has a huge campus with almost all facilities you would want. The feeling of knowing every staff member and professor like at MBS doesn’t come at Kozminski due to its sheer size, but despite that, the international office at Kozminski takes care of all incoming students by organizing various activities to help the students integrate into the university and the local culture. 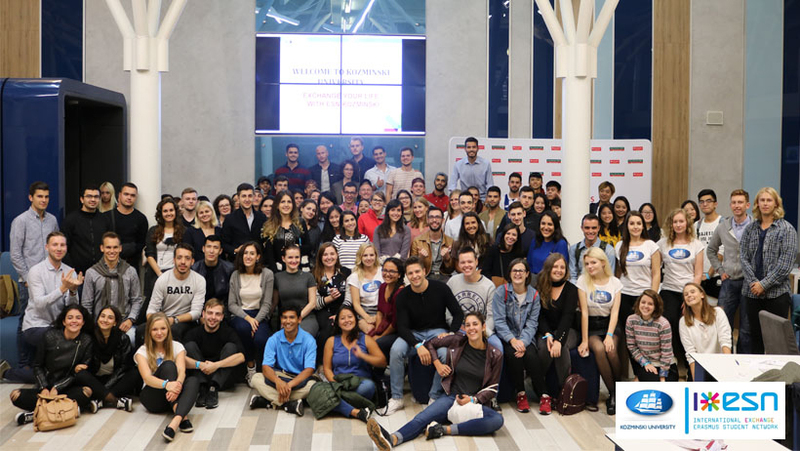 Group photo of international students during the Orientation Week at Kozminski University. Devansh is 2nd from left in the 3rd row. How about Warsaw compared to Munich? Warsaw is one of the most modern cities in Central and Eastern Europe you would find; it has the potential to be one of the next top European cities as it has a huge presence in the financial and IT sector. Compared to Munich, Warsaw is really different as it has two facets to its side: one where there are big corporate banks sitting in tall glass buildings and another where there are the remnants of the old Soviet style residential complexes. To put it in a better way, it is where capitalism meets socialism. Though Warsaw does not match the standard of living as compared to Munich. I would still say the city has the potential to be one of the top cities in Europe. What courses did you take? 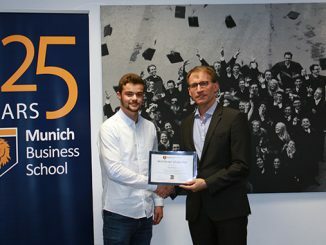 How were they similar or different to your courses at MBS? There are roughly 150 courses to choose from and it really depends on your personal interest. 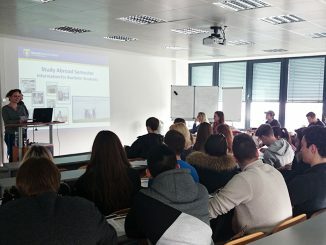 Kozminski has a very different approach to studies as most of the courses do not have a final exam; the courses are evaluated on the basis of discussion seminars and presentations, which is quite different and interesting as compared to MBS, where one has to write a final exam in order to pass the course. There are no real big challenges as such, but one needs to keep in mind not everyone speaks English in Poland, and at times it can be challenging to communicate. But with some basic Polish language skills, it would your make life much easier. Get some real winter clothes! It’s Poland! Basic Polish Language skills always help. Try renting an apartment before your arrival, being a student city it is difficult to find budget accommodation.